In a recent webinar by Shweiki Media Printing Company, copywriter Debra Jason noted that many businesses continue to make three major copywriting mistakes when it comes to crafting their marketing message. And believe it or not, they don’t involve spelling or grammar. In fact, they all revolve around the content you’re presenting to your target audience. We’ve reviewed the webinar’s three big writing no-no’s and created some suggestions to help make your writing more effective. You’re never really selling a product or service; you’re selling a promise. For example, you’re not buying a cup of coffee; you’re buying a way to gain energy to get you through the day. When copy focuses on a product, it ignores what the customer is looking for. Think about what the customer wants the most from your product, then make that your biggest selling point by putting it in your headline, sidebar and body copy. Back up your promise with supporting facts and benefits. You can also add credibility by including statistics and customer testimonials. People respond to what’s new and different, and far too often writers make the mistake of leaving out what makes their product unique. Incorporating your unique selling proposition creates a response because it allows the prospective customer to easily identify why your product is superior to the competitions’. Write in bold, clear phrases. Don’t bog your reader down with text. Let them know in a few short words what makes you unique. Make sure your audience understands why being different is a good thing. Explain the benefits of your unique selling proposition and relate it to the promise you’re making to the customer. This mistake is really about not engaging the audience in your writing. Sometimes, marketing copy turns into a sell-sheet of product features instead of a personal appeal to a customer. Try making your letter more of a conversation and less of a product description. Make the letter personal by pretending you’re writing it to one person instead of a mass audience. Never list features alone; always push it further and find what the benefit of the feature is to the customer. For more copywriting tips, subscribe to SpeakingDIRECT or connect with an IWCO Direct representative today. Vice President Marketing and Corporate Communications. Graduate of Syracuse University. Member of the Forbes Communications Council. Bringing the “there’s no such thing as good enough” philosophy to IWCO Direct since 2000. Single Source Award winner while at Banta, antique auction aficionado, and New York Yankees supporter since age 4. Subscribe to SpeakingDIRECT to have new articles delivered to your inbox as they post. We promise to keep it fresh and interesting. We update our blog two or three times a week. We promise to keep it fresh and snappy—our Stevie® and Feedspot Awards are proof! Data works best through the marriage of tools and people. Learn the basics of managing data and implementing predictive tools, as well as how to lift response rates by utilizing and enhancing the right data. Don’t let millennials remain a mystery for your marketing plans. 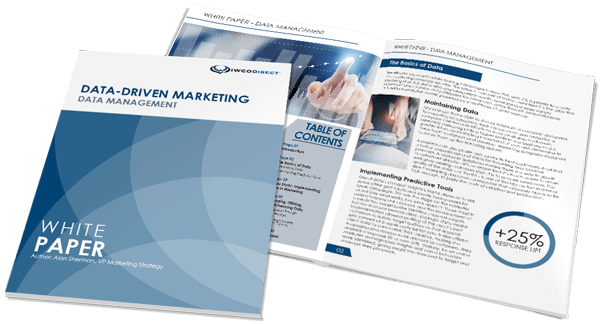 Find out what makes them respond to direct marketing with our complimentary compilation of tips, trends, and best advice for reaching these important consumers.